This is part one of a three-part series. As she gets ready to wrap up her third year in the residential electrician program, Jordan Palumbo takes an immense amount of pride in how far she’s come. After starting on a college path, Palumbo switched gears and was guided in a new career direction. Her dad saw an advertisement in the newspaper searching for electrical apprentices, and Palumbo applied. The rest is history. 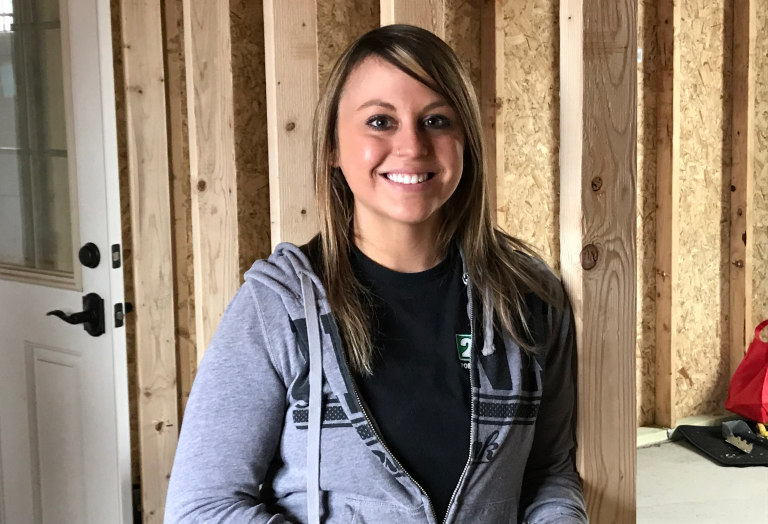 Third-year apprentice Jordan Palumbo is grateful for all the lessons she’s learned while on the job site. During her second year in the program, Palumbo was pregnant with her son, Bodhi. With a true blue-collar attitude, she worked up until she was nine months pregnant. “That was a challenge,” Palumbo joked. After giving birth, she took six months off to spend time with her son. When she returned to work, Palumbo was grateful to find a balance as a new parent. While on the job site, Palumbo enjoys the hands-on experience and gets a thrill anytime she gets to use a bucket truck. With just a few job hours left to complete, Palumbo has her eyes set on the future after getting her journeyman’s card. Palumbo feels the lessons and tutelage learned on the job site and at the Youngstown and Warren JATC are second to none. As for those looking to join the electrician trade, Palumbo hopes those who are interested in the field pursue their ambition.